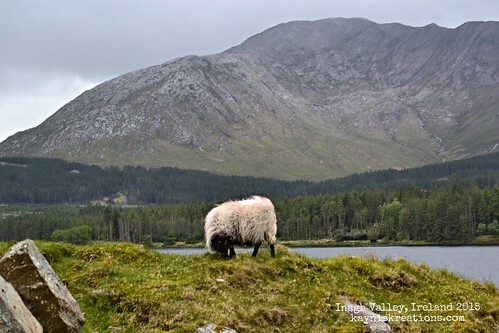 This wasn't the only sheep we met while driving through Connemara, but I thought this sheep is perfectly framed by its surroundings. For a moment, I felt beauty and calm - at the same time, and that's truly rare. Great find Kayni. You have the eye for the beautiful. Indeed a lovely image. I like it. Hello, I love the sheep and the beautiful background! Lovely image, enjoy your weekend! Thank you. Have a great weekend as well. We were in County Mayo and noticed the beautiful mountains and sheep. This is a dynamite shot! So lovely and peaceful. I agree. I love the scenery! The sheep looks like enjoying his meal so much that he ignored the photographer and gorgeous view! :D Beautifully taken! That's a gorgeous and peaceful photo. Thank you for sharing it.